If cycling history is your thing then you’ll understand why at BCC Towers we got very excited seeing the names of WJ Pett, HW Bartleet and JCP Tacagni in a recently obtained 1932 Club Handbook. All three were major players in cycling at the turn of the 20th century and all three are listed as club vice-presidents. William ‘Billy’ Pett is best known for winning the 20km at the 1906 Intercalated Games/1906 Olympic Games and coming fourth in the 100km at the 1908 London Olympics. At 30 years of age he won the British 50miles tandem paced championship in 1904, repeating the success in 1906. In 1904 he broke the Southern Roads Record Association Tandem Unpaced Record with Balham CC’s AW Hunt. 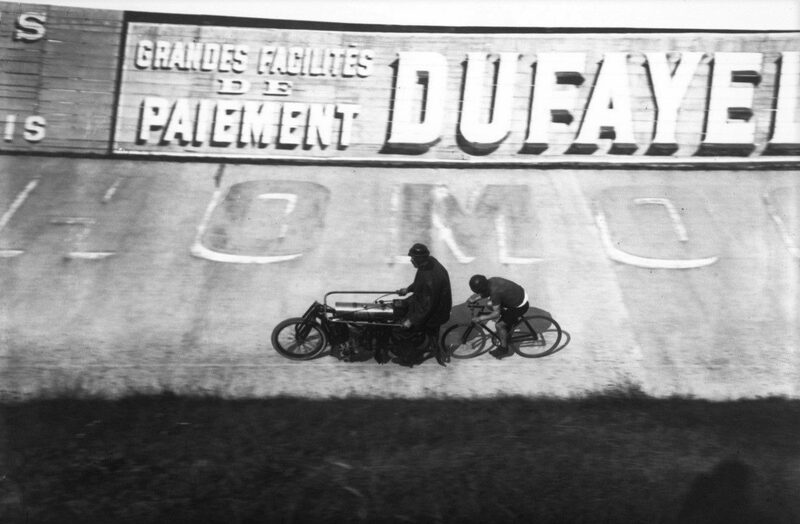 He also broke the human paced amateur hour record with 30 miles 1170 yards in 1908 which stood for 21 years. In the early days he was associated with Southern CC and Putney AC before joining Norwood Paragon. After he retired from competition, Pett became a leading official and was one of the timekeepers at the 1948 Olympic Games. Horace Wilton ‘Sammy’ Bartleet was a cycling journalist, author, amateur racer, cycle designer and collector. His collection of cycles formed the basis for the Coventry Transport Museum and he published a cycling classic, ‘Bartleet’s Bicycle Book’ in 1931, which covered the history of cycling as well as details of his bike collection. He was a member of the Anerley Bicycle Club where he became an amateur racer of some note and was enthusiastically involved with the development of cycling in this country which included club organisation. Being local, involved in club cycling and with a book to promote, might explain why he is a vice-president of Balham CC. Born in 1859 to an Italian father, JCP (John Charles Peter – originally Pietro Johan Carlo) Tacagni grew up in East London before residing at 108 Cavendish Road, Clapham for many years. Tacagni was a cyclist of some note in the 1880s, riding for Cannonbury and City of London Bicycle Clubs but it was as a manufacturer he made his name. Tacagni, Holt & Co, built ‘Tac’ high-wheelers and ‘Tac’ safeties at the Tac Cycle Works, 86 Gresham Road, Brixton. By 1889, they had moved to 313 Coldharbour Lane, Brixton. Their range now included the ‘Tac’ Diamond Safety and ‘Tac’ tricycle. Ivydene was a Tea Room at 34, South Street. First record of its existence is the 1911 census. It was a popular stop-off for BCC and other South London Clubs such as Dulwich Paragon and Norwood Paragon. It’s now the Sicily Restaurant and is a Grade II Listed Building. As yet we can find no record of Tom Smith’s in Crawley, the other country quarters mentioned. The Clarence Hotel was rebuilt in post-World War II estate style. It was an Ex-Taylor Walker pub known as The Clarence at the time of demolition in 2012; located at the junction of Jeffreys Road and Clarence Walk, north-west side. Cycle Manufacturer Claud Butler was a club member in the 30s. The 1933 ‘CB’ Catalogue declares that construction of each EH Chambers’ Path Model was personally supervised by Chambers himself. Ernie Henry Chambers rode in the 1928 and 1932 Olympics winning a silver on the tandem in each. He was a permanent member of Claud’s staff before eventually starting out on his own. Denton & Down Cup were a silversmiths and medallists trading between approximately 1920 until the 1940s and based at 22 Ely Place, Holborn. First time we’ve seen them described as ‘suppliers to BCC’. The club runs list includes a night run that starts at 1am, a 12-hour run and three ‘surprise’ runs. One ride to Billingshurst starts at 5am! WH Bartlett information from the Coventry Transport Museum website. WH Bartleet and WH Bartleet and JCP Tacagni photographs from Grace’s Guide. Have you or any family members got any club memorabilia from the Balham years? Can you shed any further light on the details in the handbook? Email me at balhamcyclingclub@btinternet.com or drop me a line in the comments box. I would love to hear from you.